Licensed practical nurses are essential members of the contemporary health care team. They derive a great deal of satisfaction from caring for their patients, which include newborns, infants, adults and the elderly. The aging population and a plethora of diseases that require acute or chronic care contribute to the demands for skilled, compassionate nurses. Prospective nurses should start off with a desire to help others and build on that foundation. Accredited nursing programs help nursing students develop the critical skills they need to succeed in patient care. These skills include, but are not limited to, communication skills and a positive bedside manner. Since LPNs report directly to their Registered Nurse supervisors, they should also know how to take direction and exhibit leadership qualities and professional judgment when needed. Practical nursing programs include a balance of general education and nursing preparatory courses that help students acquire the knowledge and skills to function as practitioners of nursing. The programs achieve this key objective through classroom study and supervised clinical experience. Students must attend both components of the program to qualify for graduation. For most programs, the nursing courses are sequential, so students must complete them in the predetermined order. The general education courses may be completed concurrently or prior to the course nursing courses. Course topics include nutrition, mental health nursing, communicable diseases, restorative and rehabilitative techniques, gerontology, pediatric nursing, maternal-neonatal nursing, medical-surgical, entry into practice, and leadership supervision. During the clinical experience, supervising faculty will reinforce the fundamentals of nursing and patient care, and working with patients in various settings. It is important to attend a program approved by the Wyoming State Board of Nursing and accredited by the Accreditation Commission for Education in Nursing (ACEN). There are just eight (8) accredited programs in Wyoming, and with hundreds of enrollment requests each year, admittance is competitive. Before applying, you should attend the mandatory orientation to learn more about the program, program requirements, and the career outcomes. To be eligible, you must meet the age requirements (18 years or 17 years for some programs), provide an official high school transcript, pass the Test of Essential Academic Skills (TEAS), immunization, CPR, and prerequisite course in mathematics, chemistry, biology, anatomy, and medical terminology. Even after meeting all the entry requirements, acceptance into the program will depend upon satisfactory completion of a criminal background check and drug screening. Certain criminal activities could prevent your participation in the clinical experience which could affect your eligibility to graduate and obtain state licensure. Upon completion of the program, students will receive a diploma and will be eligible to take the NCLEX-PN. Students who succeed on the exam will obtain a license from the Board of Nursing to practice in Wyoming. Duration and Cost of Training: If you’re planning to attend the program full-time, you should expect to spend $7,500 for tuition and expenses, such as textbooks, lab supplies, lab fees, ATI fees, liability insurance, uniforms, stethoscope, patches, lab coat, white shoes, and admission fees. If you’re planning to attend part-time, your final costs may be 25 to 40% more than a full-time student. Prerequisite course and retaking courses to earn a passing grade will also increase the cost of attendance. Transport to and from the clinical site is an additional expense that you should keep in mind. Financial aid and scholarship opportunities are available for those who qualify. Wyoming’s nursing graduates must apply to take the NCLEX as a final step to licensure. The examination is available year-round, and the test centers are open six days a week and up to 15 hours a day. 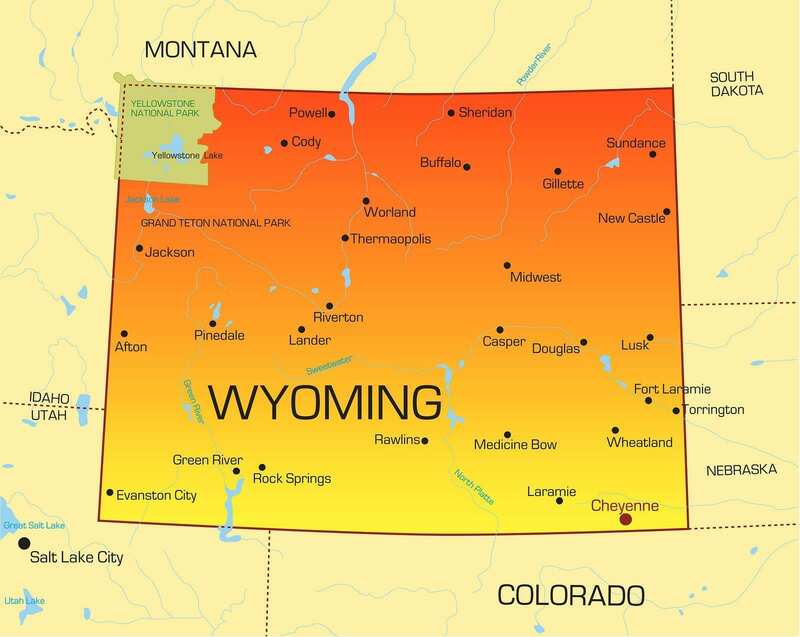 There is one testing center in Casper Wyoming, but you may be able to select a testing center in another state and forward the results to the Wyoming Board of Nursing. The nursing education program should provide all the information you need to succeed on the exam, so test review books and CD-ROMs may not be necessary. Evaluate your strengths and build on your weaknesses during the time between graduation and the scheduled test date. More than 85% of nurse graduates who allocate time for study go on to succeed on the exam, so preparation is key. But before you begin extensive preparation, it is essential that you submit an application for license and register with Pearson Vue to confirm your eligibility to take the exam. Registering for the NCLEX is fast and simple over the internet or the toll-phone hotline (1.866.496.2539). Make sure to have your credit card on hand to pay the $200 fee required to complete registration. Provide a valid email address during the registration as it is the only means Pearson Vue uses to communicate candidate information. The Board of Nursing must confirm your eligibility to take the exam after receiving confirmation of your completion of an approved nursing program. Pearson Vue will send the Authorization to Test (ATT) after receiving the Board’s authorization. The ATT will provide guidelines for scheduling a test date and indicate the expiration date, which is the time you’ll have to schedule and take the test. The computerized test calculates your scores as you progress through the exam. However, the results are not immediately available. The Board will receive your scores within 2 to 4 days of your completing the exam, and will issue your license if you’re successful. If you fail the exam, you will receive a Candidate Performance Report (CPR) that will outline your performance in different sections. Review the report as part of the preparation for retaking the exam. You must pay another registration fee to Pearson Vue and an application fee to the Board when submitting a new request to retake the exam. Wyoming’s Statutes requires nursing graduates to obtain a license to practice. The Wyoming State Board of Nursing qualifies candidates by examination or endorsement from another state. All applicants must be graduates of a state board-approved nursing education program, and of good moral character. The Board will determine a candidate’s eligibility after reviewing the completed application, fee, and fingerprint cards. A temporary permit is available upon request and is issued at the WSBN’s discretion. The non-renewable permit is valid for 90 days only and may be revoked by the Board at any time during the valid period. All applicants must consent to a criminal background check as part of the application process. A completed application for licensure by examination. A copy of your social security card and another document indicating your lawful presence in the United States – acceptable documents include a driver’s license, passport, or birth certificate. A money order or cashier’s check in the amount of $130 plus $60 for the criminal background check/fingerprint card. The Board also accepts Visa, MasterCard or Discover – a $5.00 processing fee is assessed for credit card payments. Official transcripts from the nursing education program, indicating the graduation date, type of degree, and the school’s seal. Two FBI “blue” completed fingerprint cards. The alternative is to wait for the Board to send fingerprint cards after processing your application fees. You will need to complete the fingerprint cards and use the pre-addressed envelope to mail directly to the processing agency. Court documents, from the beginning of the arrest to the final disposition, if you answer “yes” to the criminal history questions. A personal statement to describe the criminal charge/disciplinary action in your own words. A request for special accommodation for the NCLEX – if applicable. The WSBN may issue a non-renewable graduate temporary permit upon request. The permit is valid for 90 days and will be issued within 24-48 hours of submitting a completed application. You will be eligible if you submit a complete application and fee, official transcript, and check the appropriate box on the application. Wyoming Statutes requires the WSBN to receive the results of the criminal background check before issuing a permanent license. The processing time for criminal background checks is 35 to 55 days, so submit the fingerprint cards as soon as possible. The processing time for your application is 14 to 20 days; the Board will confirm your eligibility to receive the ATT once your application is complete. The WSBN is paperless, so you must use online verification to check the status of your permanent or temporary license. If you are licensed as a nurse in another US state or territory, you will be eligible for licensure by endorsement if you present suitable proof of current licensure. A money order or cashier’s check in the amount of $120 plus $60 for the criminal background check/fingerprint card. The Board also accepts Visa, MasterCard or Discover – a $5.00 processing fee is assessed for credit card payments. A copy/evidence of a license in good standing – with no disciplinary actions. The license should indicate the expiration date. Verification from your original state of licensure. Request the licensing agency to complete the Verification form and send to the WSBN if the state does not participate in Nursys. Completed fingerprint cards. The Board will send fingerprint cards after processing your application fees. You will need to complete the fingerprint cards and use the pre-addressed envelope to mail directly to the processing agency. If you would like the Board to mail the fingerprint cards to an address not listed on the application, you should enclose a self-addressed 8” x 11” envelope with the application. Evidence of a minimum 500 hours of practice as an LPN in the last two years. Evidence of a minimum 1600 hours of practice as an LPN in the last five years. Evidence of 20 hours of LPN continuing education in the last two years. Evidence of completion of an LPN refresher course in the last five years. Evidence of certification in a specialty area through a recognized accredited agency for the last 5 years. Passage of the NCLEX-PN within the last five years. Proof of completing LPN IV Therapy course if you’re applying for IV therapy certification. The optional temporary permit to work will be available to you if you provide evidence of a current license in good standing and submit a completed application, application fee, and fingerprint cards. The temporary permit is valid for 90 days only and is non-renewal. LPN licenses expire at midnight, December 31 on even-numbered years. Failure to renew your application by the deadline will require licensees to meet all the requirements for a new application. The non-refundable fee is $90. The WSBN will not refund the fee if the applicant does not meet competency or qualify for renewal. 500 hours of practice as an LPN during the last renewal period (2 years). 1600 hours of practice as an LPN during the last 5 years. 20 LPN continuing education hours in the last 2 years. Completion of a refresher course in the last 5 years. Certification in a specialty area of nursing in the last 5 years. Passage of the NCLEX in the last 5 years. Employment of Licensed Practical Nurses is expected to grow 25% by the year 2022, according to information from the Bureau of Labor Statistics. Advances in medical technology, the aging population, and a workforce nearing retirement are just a few reasons for the expected increase in demand for LPNs. Long-term care facilities and outpatient clinics will continue to be the main employer of LPNs, a more affordable alternative to the higher paid registered nurses. The projected rise in the need for LPNs is applicable to some industries more than others. Newly licensed LPNs looking for employment in traditional hospitals may become discouraged during their search as there are fewer opportunities than there were a decade ago. That is not to say opportunities are non-existent; they’re just not as widespread as they are in other sectors. For faster employment, new nurses should look for long-term skilled nursing facilities and short-term rehabilitative centers. Doctors’ offices provide endless opportunities for professional LPNs who are diligent and trustworthy. A doctor’s office presents opportunities to treat patients of varied ages and develop a specialty – if you work with pediatrics, endocrinology, gynecology, etc. The duties in a doctor’s office could be either clinical or administrative. Other reliable places of employment include home health care and addiction clinics. The newcomer to this career path should be guided by the nationwide statistics and challenges. However, it is best to research the opportunities in a local area to be certain. The median annual wage for LPNs was $43,400 in May 2014. The best paying positions were those are outpatient care centers, physician offices, and nursing homes.